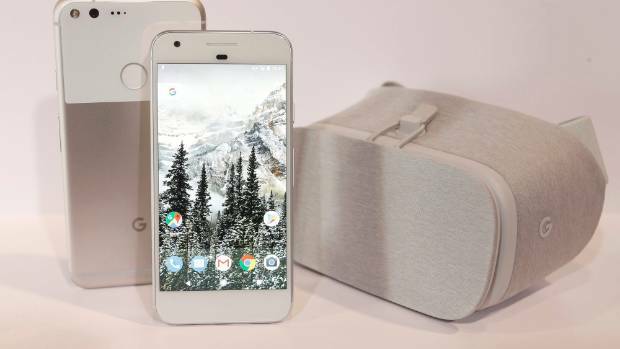 Google officially closed its US$1.1 billion (NZ$1.5b) deal with HTC adding more than 2000 smartphone specialists to help the search giant chase Apple in the cut-throat premium handset market. The deal will help Google wade deeper into designing its own consumer hardware and special-purpose chips — like Apple. Google’s most recent Pixel model came with a new image processor to improve the device’s camera. More of this “custom silicon” will come in future Pixel devices, Google’s hardware chief Rick Osterloh said in an interview. Osterloh brought in HTC engineers and designers to help Google control more of the design and production of its products, including working more closely with suppliers. Google previously focused on software and let manufacturers including Samsung Electronics and HTC handle the hardware. But modern phones offer features like augmented reality and artificial intelligence-based services that require close integration of software and hardware. A bigger step would be to create its own “system-on-a-chip” – the main processors inside phones that Apple now inserts into its devices. Qualcomm provides the bulk of these chips to Android phone makers, and Osterloh said Google will keep working with the supplier for the foreseeable future. Still, by designing more silicon itself, Google could cut business for other suppliers. Apple released its first system-on-a-chip in 2010, and has added special chips to store fingerprint and payment data, track motion, crunch graphics and run AI algorithms on mobile devices. Google’s Pixel sales have been a fraction of Apple’s, but another phone maker designing more of its own components is a bad sign for suppliers. The HTC deal is also bad news for manufacturers of phones based on Google’s Android operating system. Most of these companies have struggled to make money selling premium handsets that compete with the iPhone, while Google benefited from distributing search and other lucrative software services on those devices. Now Google is making its own high-end smartphones. The Pixel phone sold 1.5 million phones in 2017, up from 1 million the year before, according to Counterpoint Research. By contrast, Samsung is estimated to have shipped more than 300 million smartphone units last year. If Android partners aren’t alienated by Google’s entrance, they are at least uneasy. After the Pixel arrived, some major Android manufacturers, like Samsung and Huawei, began to roll out more of their own services on their phones. After the HTC deal, Google plans to expand research and marketing, cut deals with more phone carriers and retailers, and move into new markets. Sales remain limited to nine countries.